Master of Your Domain – Part 1 – Where should I register? 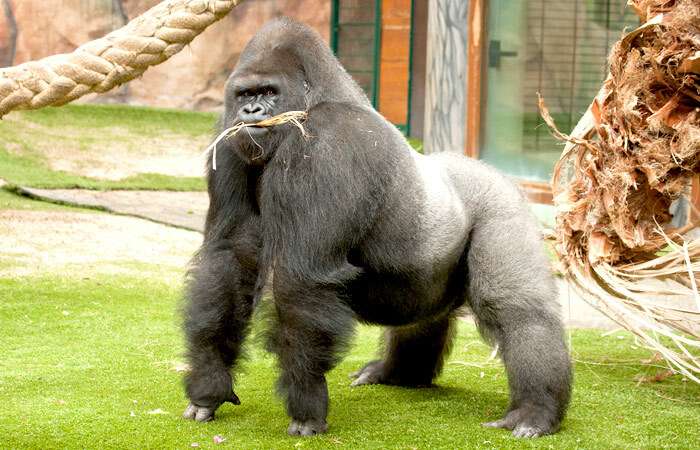 Domain registrars can come in many different forms. The difference between web site host and registrar is often blurred these days. Network Solutions, Register.com, Go Daddy, Namecheap, etc., were originally established to register domain names. Over the years they began to offer additional services such as email and web site hosting. There are also companies that started their lives as web site hosts, then later became domain registrars as well. Then, just to make it confusing, there are resellers—companies (like Winhost) who can offer domain registration services, but are not registrars themselves. Technically, as far as your web site and users are concerned, where your domain is registered is irrelevant. A site hosted at any host can use a domain registered with any registrar. The DNS system will route your traffic like the post office routes your letters. Well, hopefully better than the post office routes your letters. For the sake of convenience, many people choose to use their host as their registrar, so that everything can be managed from one location. Whether you do that or use a registrar that is unrelated to your host is a matter of preference. Here at Winhost your user account contains your domain registrations, so they are separate from your hosting accounts. That’s an ideal set up for anyone who wants to maintain that separation and flexibility without managing payments in multiple locations. The independence and control that you have can save you headaches in the long run. Are “free” domains really free? Typically the host will make themselves the administrative contact for any domain names they provide for free as part of a hosting package. The administrative contact controls the domain, so you always want your contact information to be the admin contact information. At the very least, you want your email address to be listed in the admin section. Can I keep the name if I change hosts? Can I keep my hosting but transfer the domain to a registrar of my choice if I opt to pay for it myself? If you spend six months creating a site and building an audience you may want to take further control of your domain by moving it away from the host and paying for renewals yourself. Make sure the host will allow you to do that. If you are the admin contact, you can usually move the domain, but if the host is listed as billing contact, they can make the move difficult if they want to. If you use a domain that you don’t own or you can’t move, you may be in for trouble down the road. We have seen many new customers having difficulty gaining control of what they thought was their domain name. But if you are aware of the “gotchas” surrounding domain name ownership, you can avoid those kinds of problems. 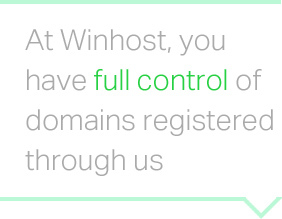 Here at Winhost you always have full control of domains that are registered through us. You are the administrative contact, you can cancel your site or move it to another host, switch the domain on your hosting account—whatever you do you’ll always have access to your domains. I’ve always had success registering and hosting my domain with DomainDash.Co or GoDaddy.